Using the latest recycling and manufacturing techniques, ASF's range of recycled plastic bollards encapsulates the environmental benefits of recycled plastic with the practical qualities of a material that will not rot, splinter or rust. Available in a wide range of standard styles and sizes ASF recycled plastic bollards are suitable for a wide range of uses. As with all products, ASF can manufacture completely bespoke recycled plastic bollards if required. 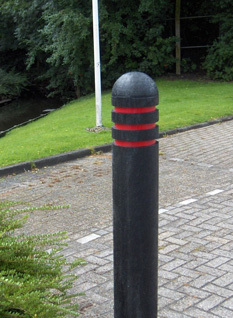 Recycled plastic bollards have a great deal of flexibility not offered by other materials. 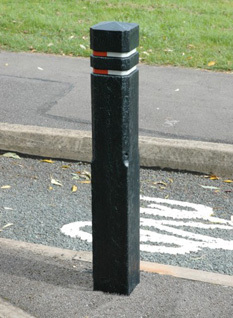 Rather than being painted, they are pigment dyed throughout meaning small scratches and areas of damage do not visually detract from the bollard. Their light weight is a great advantage if removable posts are required, and the smaller sizes make for a genuine budget range where simple post demarcation is the main requirement. 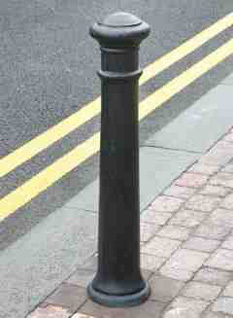 Bollards can have retro-reflective bands applied, be fitted with chain eyes or used as part of a post and rail system.